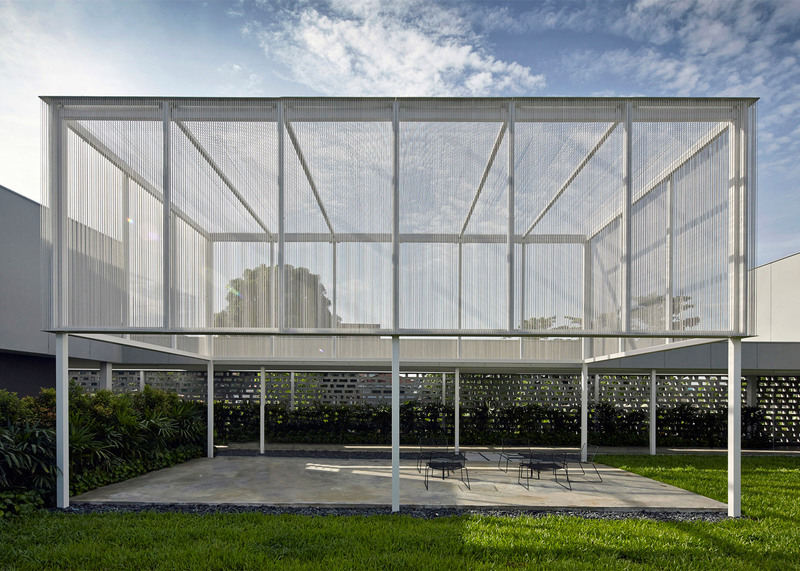 Buildings made from standard construction materials are arranged around a tropical garden to form this Kuala Lumpur gallery by London studio CarverHaggard, to suit its setting on an industrial estate (+ slideshow). 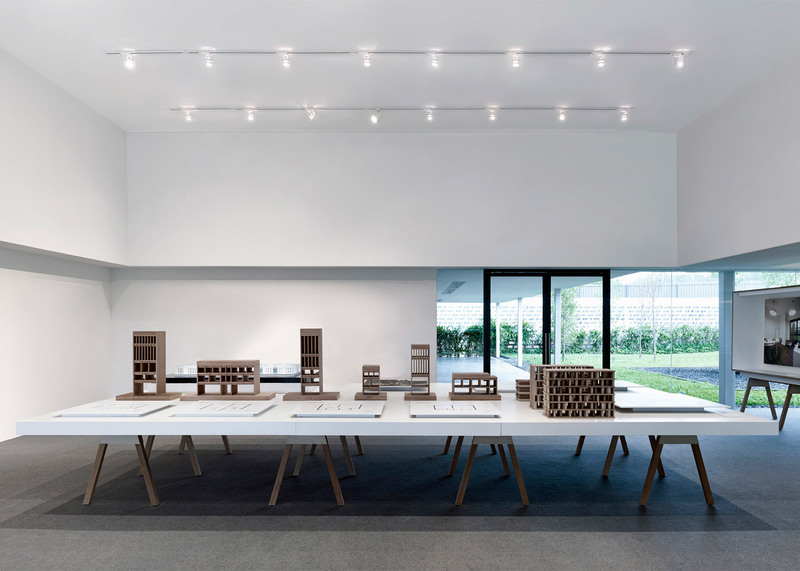 CarverHaggard was asked to create the showroom and gallery by a real estate developer responsible for masterplanning a mixed-use district near a new railway station in the Malaysian capital. 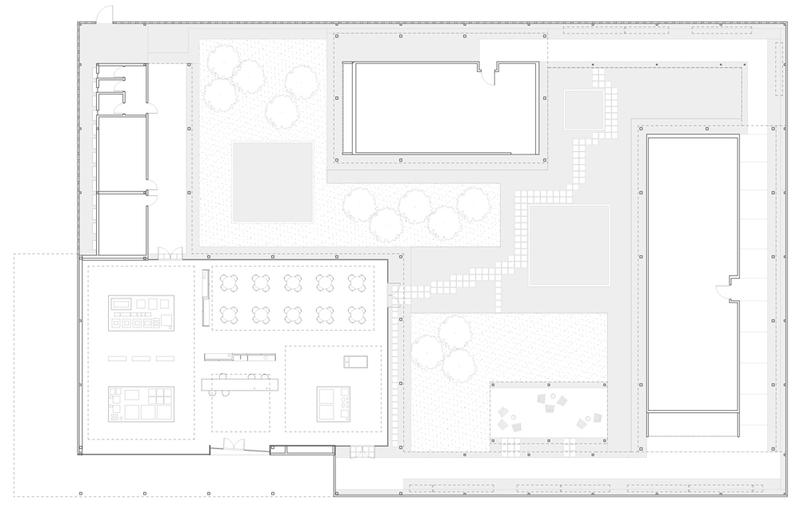 The building contains spaces for exhibiting plans and architectural models of the project as it develops, along with meeting rooms, a cafe and other exhibition spaces. 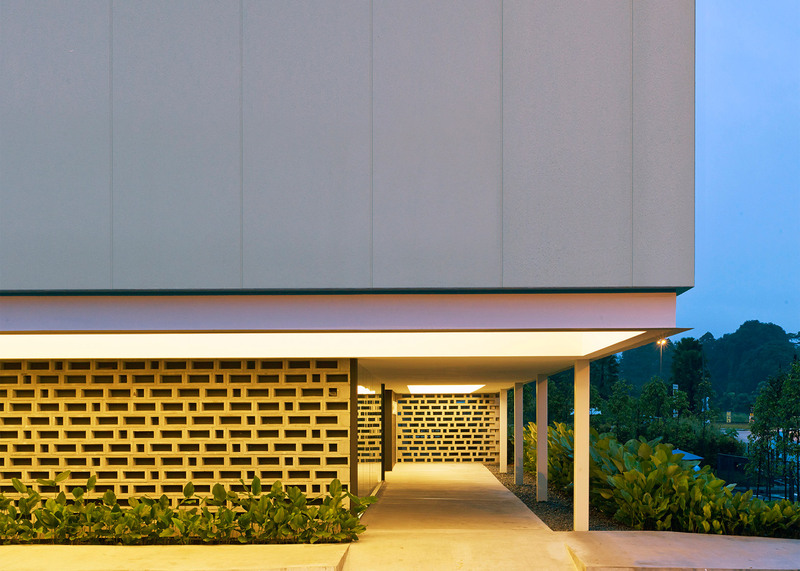 The firm previously designed a similar gallery influenced by traditional black and white colonial houses for a developer in Singapore. 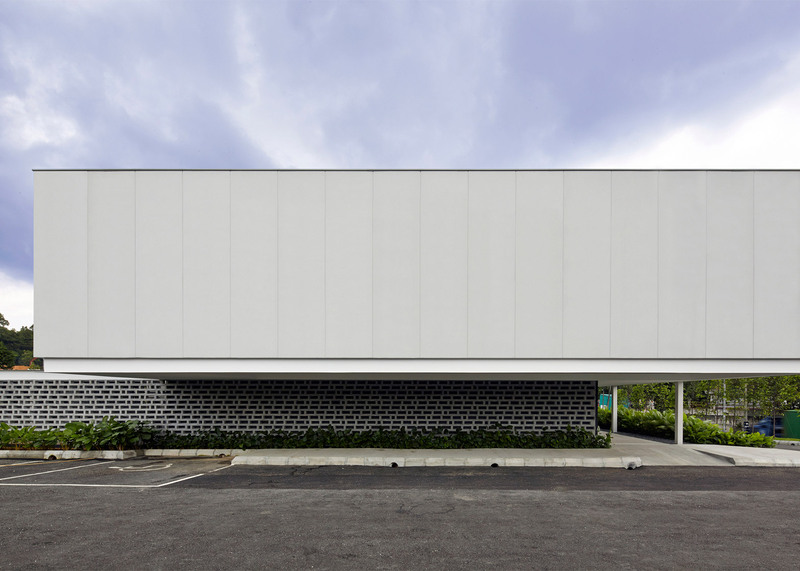 The site is located on the edge of an existing industrial area where factory buildings are interspersed with public spaces and areas of tropical greenery. This contrast of the natural and manmade informed a design that emphasises the relationship between indoor and outdoor spaces. "When we spent time in the industrial area, we were amazed by how varied it was," architect William Haggard told Dezeen. 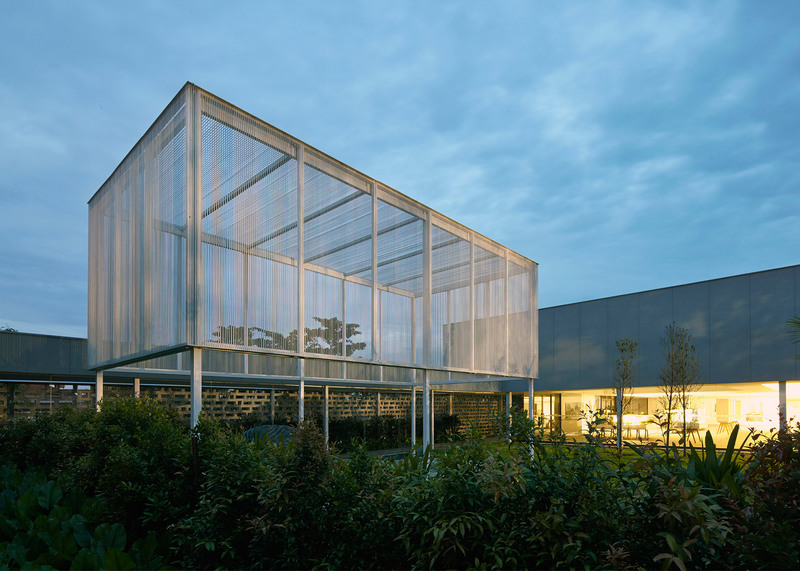 "We wanted to celebrate this condition in our design, so we developed the idea of simple industrial structures within a lush captured garden." 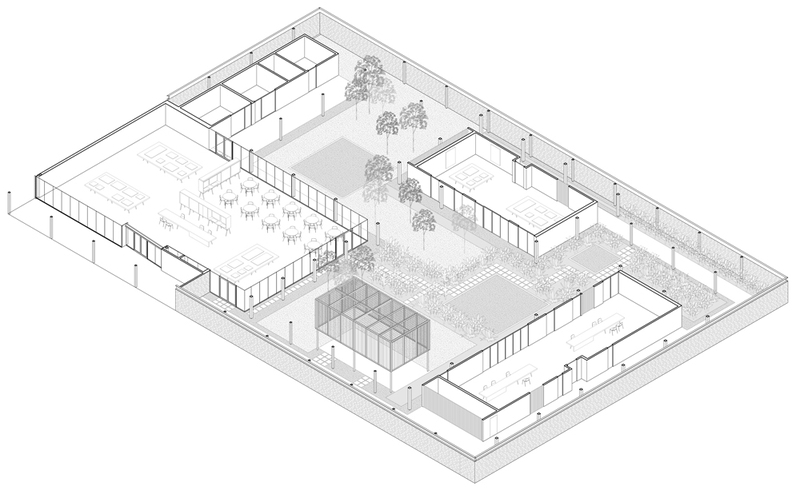 The gallery comprises a series of separate steel-framed buildings united by open-air circulation routes. 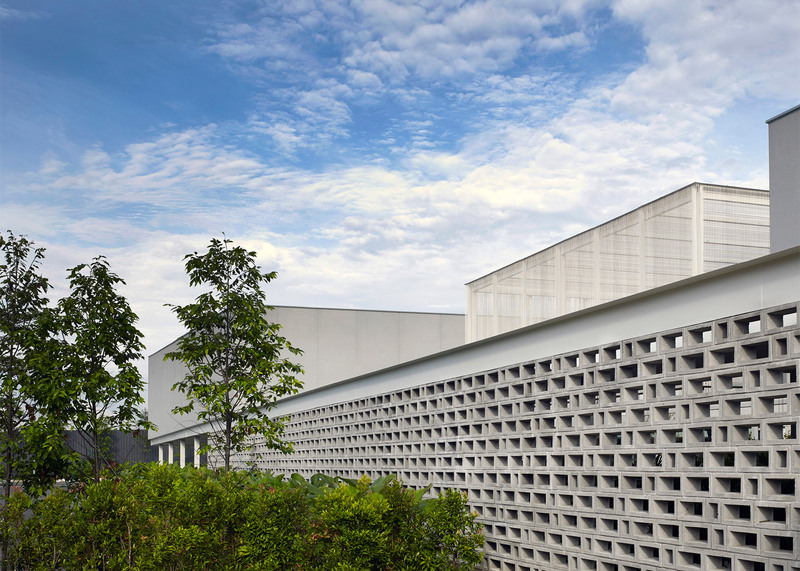 The shed-like structures housing the exhibition spaces are clad in cement-board sheets with a rough rendered finish that gives them an industrial feel. 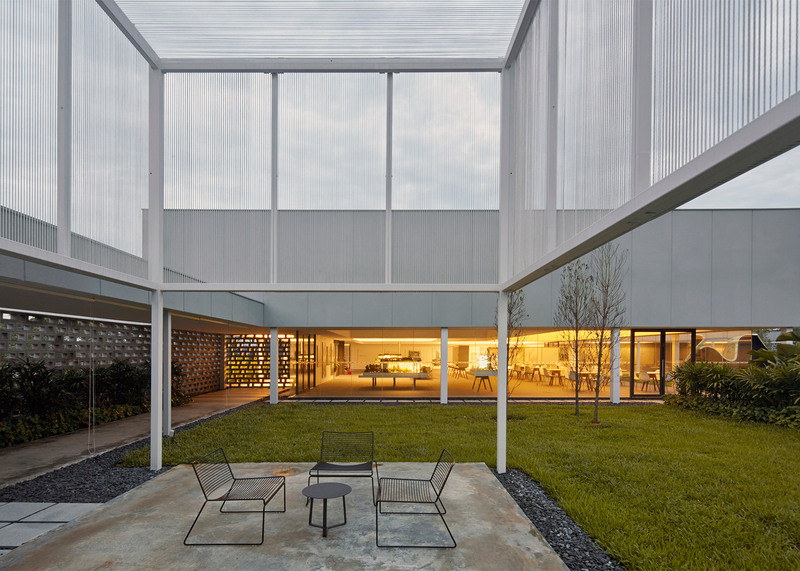 Glazing surrounding the sheds at ground level creates a direct connection between the interior spaces and the gardens. 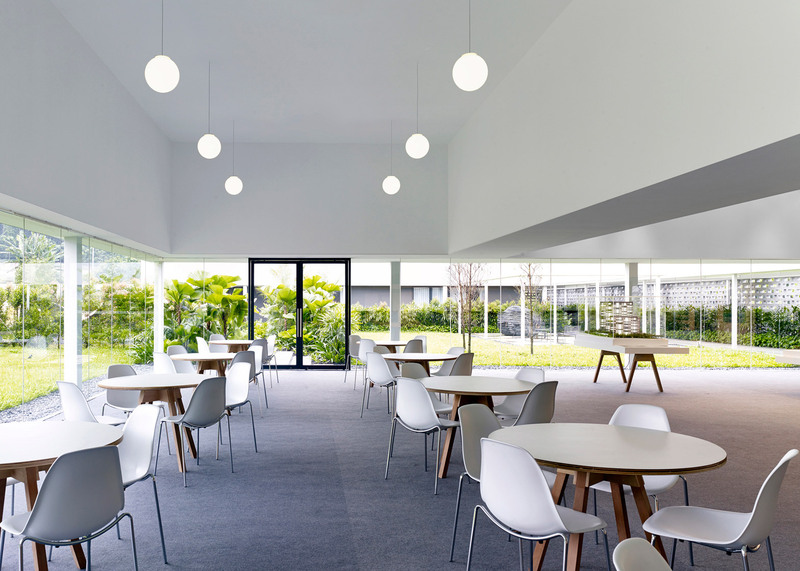 The ceilings of these spaces are supported by columns that give the sense that they are hovering above the landscape. 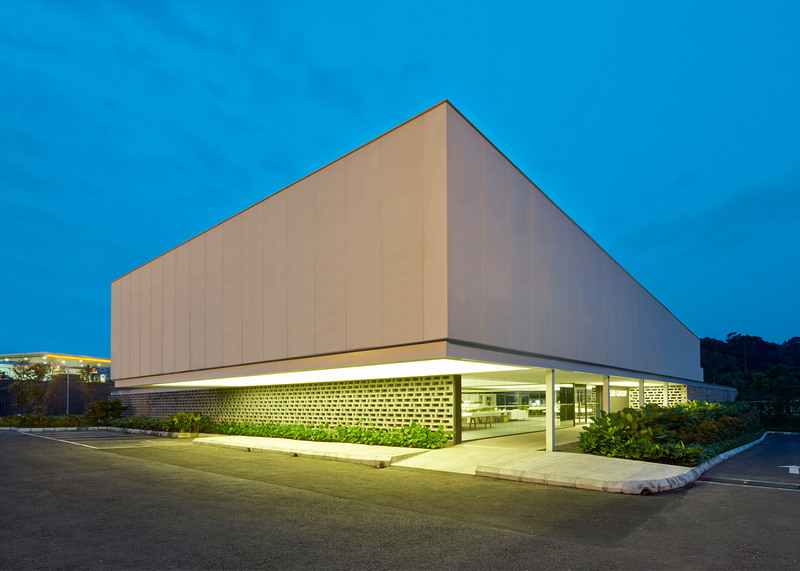 The entrance to the showroom is sheltered beneath a cantilevered section of the largest structure's roof. Lighting integrated into the recess of this volume turns it into a glowing beacon at night. 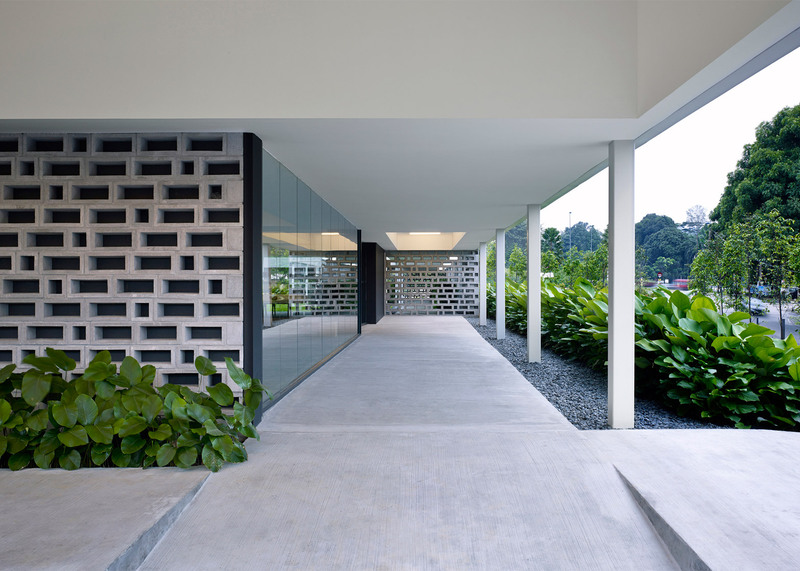 Other external walls are constructed from hollow ventilation blocks, which are commonly used in Malaysia to provide passive cooling as well as solar shading and privacy. 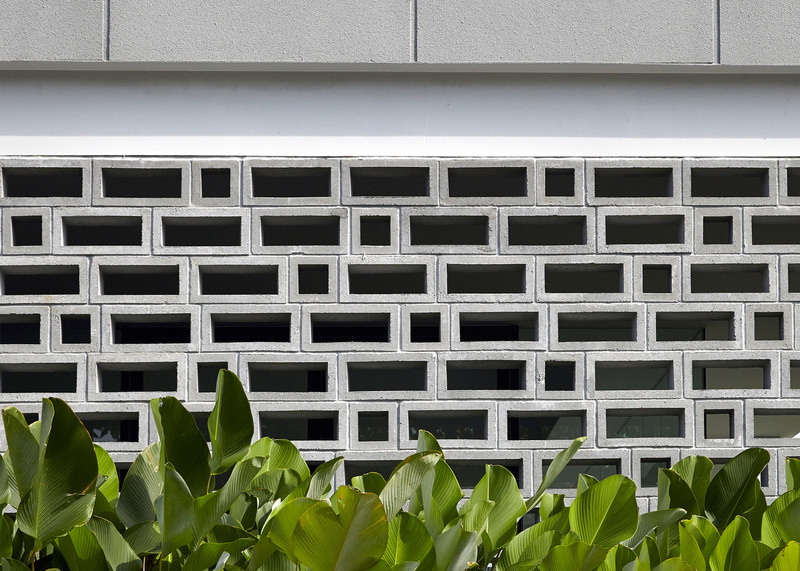 "Vent blocks are a standard material in Malaysia," Haggard pointed out. "We worked with a few different standard sizes of block to create a loose and informal pattern for the perforated garden enclosure." The blocks are also chosen by architects in other countries with warm climates, as they create naturally cooled spaces with a graphic aesthetic. 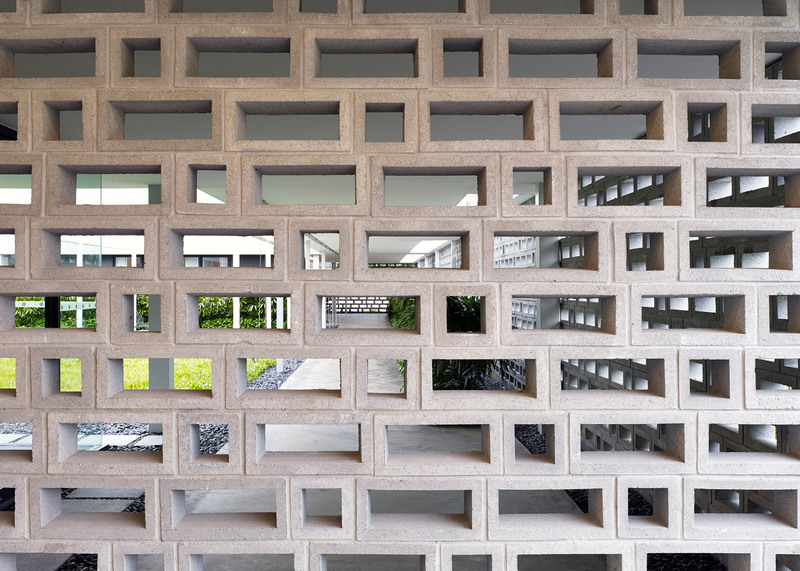 Vietnamese architect Vo Trong Nghia has used blocks with relief surfaces on the facade of a house in Ho Chi Minh City, while Alan Chu used ceramic ventilation bricks to form walls and partitions inside a house in São Paulo. 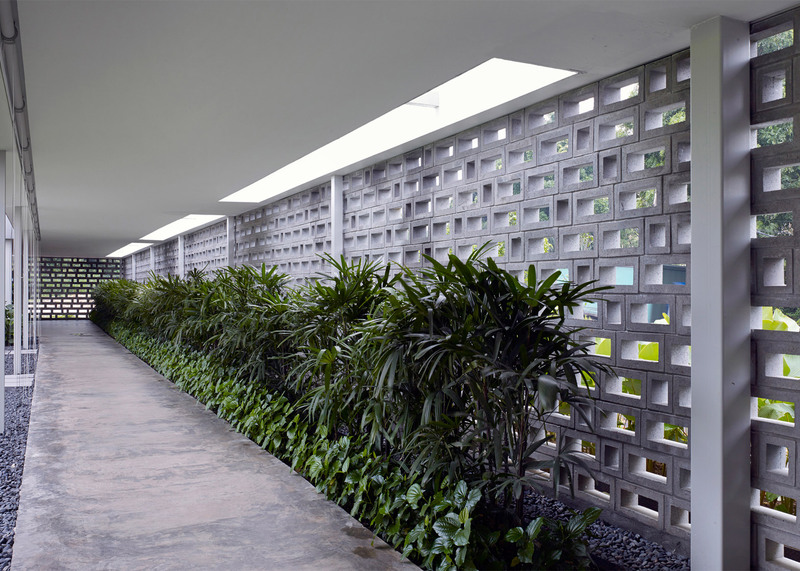 A sheltered walkway around the perimeter of the gallery provides the main circulation route between the various structures. 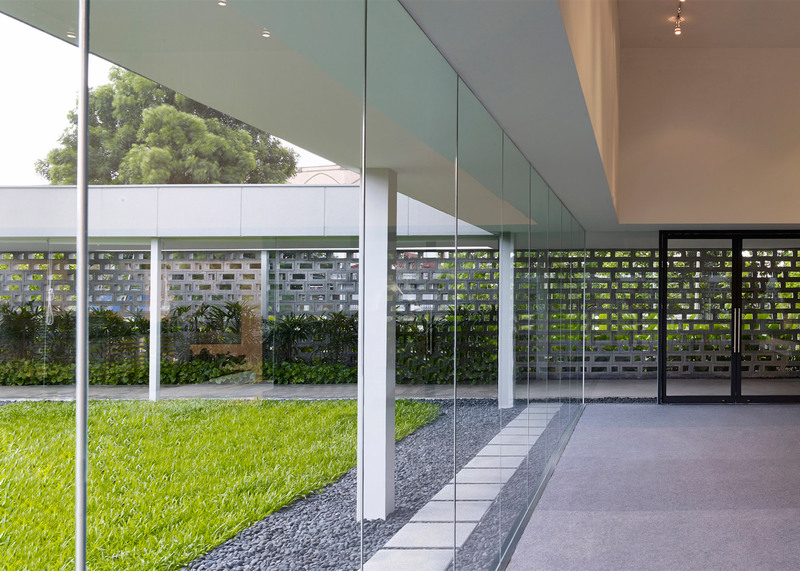 The perforated walls line the walkway on one side, allowing partial views of the surroundings, while the other side is open to the garden. 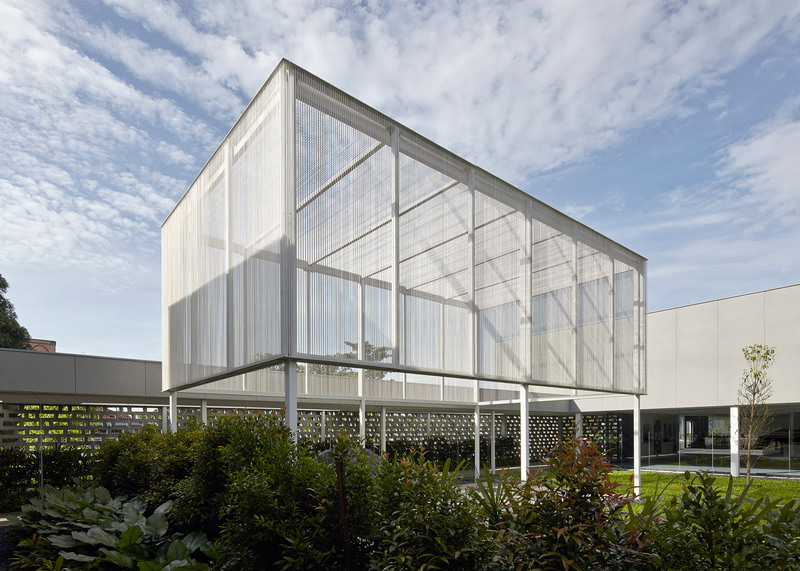 In the garden, a pavilion erected to provide an outdoor space for meetings and socialising is constructed using a similar steel framework to the other buildings. The upper section of the structure is wrapped in rope using a technique more commonly found in furniture manufacturing. 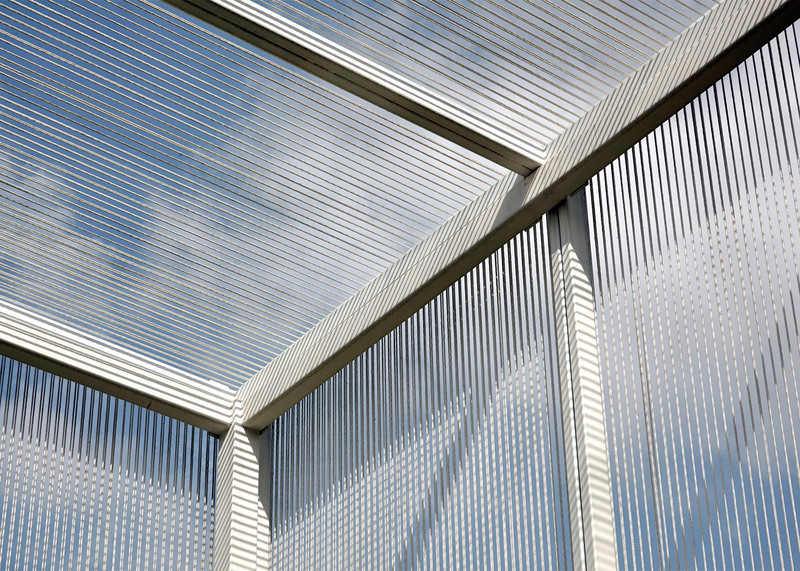 "The rope pavilion has a place-making function, providing shade from the sun and a place to meet," added Haggard. "We used rope to enclose the space as lightly and simply as possible, and as a softer material in contrast to the steel frame and concrete clockwork." Photography is by Aaron Pocock.